I sat down with Bridgitte Anderson from Cambridge House Live last week to talk LNG catalysts, refineries, why the oil price in North America could soon experience a big drop, and why — to most peoples’ surprise — 2014 should be the best year in history for the ethanol industry. Click on the YouTube video below for free access, or scroll down to read the full transcript of our conversation. 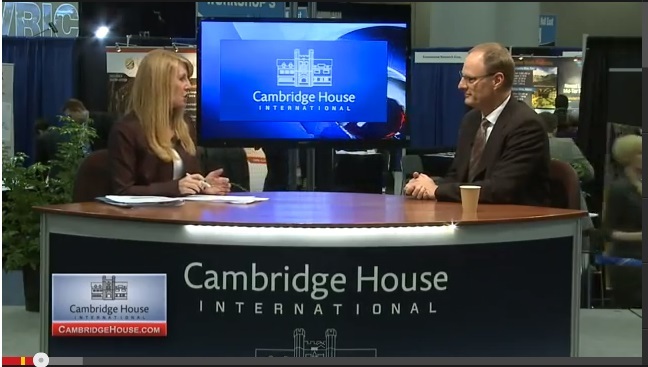 Bridgitte Anderson: Welcome to Cambridge House Live, I’m Bridgitte Anderson and I’m joined by Keith Schaefer the Editor and Publisher of the Oil and Gas Investments Bulletin. Nice to see you again, Keith. Keith Schaefer: Thanks for having me, Bridgitte. Bridgitte Anderson: Let’s start off talking about LNG… 2013 not the year that many had hoped for. What are you thinking will be a catalyst for 2014? Keith Schaefer: Well, I think the big reason 2013 didn’t turn out the way we wanted was because the BC government did not say what its tax regime was going to be for LNG. Bridgitte Anderson: Big question still. Keith Schaefer: And that was going to happen in October and they put that off now until February, which tells me that the dance they’re doing with the industry is still happening. But what I’m hearing lately is that we are going to see some very definitive numbers come down in February and that should be the first big catalyst… and I think obviously if you’re going to spend $20 or $30 billion in infrastructure in this province you want to know what your tax regime is going to be. So for PETRONAS, Shell, all these companies Exxon, Apache, they’re going to want to see that and everything I’m hearing says we’re going to be happy with what we hear and that should be a pretty big catalyst for these companies to then say yes we’re going to give it a go and I would expect two, what we call an FID, Financial Investment Decision this year, will be from the really small company called Golar. That’s going to be a very small offshore barge that ships LNG and the other one should be PETRONAS which is much larger and I think we’ll see both those FID’s this year. Bridgitte Anderson: Well there are about 14 proposals for these projects right, so that’s a lot of players in there. How do you think that is going to shake out and when investors are looking at opportunities, you know, they can’t think that all 14 are going to make it to the end. Keith Schaefer: Right and there’s no way we can fit a pig in that python anyway, right. Terrace, Kitimat and Prince Rupert are very small towns, so what I expect to see happen is that the industry is going to watch these first two for a couple years and see how they’re doing and so they’ll be able to see how they’re moving ahead, the leaders are and how the market for LNG. Because right now it’s very-very positive… you know LNG is trading for 18 bucks on the spot market in Japan these days, so it’s winter that’s expected, but great profit margins right now, but will that continue, I would expect those to be the only two projects for the first couple years and the rest of the industry will be a full two years behind before deciding to jump in or not. Bridgitte Anderson: But even still probably not going to see all 14 get to the end. Bridgitte Anderson: You talk about being late, is BC and Canada late to the game compared to Australia, or is there enough room for both players? Keith Schaefer: Well you know we’re talking about some very long timelines here, so the short answer is nobody knows, but right now Australia should be coming online next year, so that’s a nice big jump, the US is going to be next, though I think most of their exports are going to end up going more to Europe just because between the Panama Canal and economics of getting to Asia are not convinced you’re going to see near as much exports from the US to Asia as everyone thinks right now, that still leaves a pretty big gap for Canada and as long as our gas in under 8 bucks and their gas is still 15-16 bucks and it’s quite a bit higher than that right now, I still see an industry, plus I think the big trend over the next 20 years is going to be a way from oil to natural gas. Bridgitte Anderson: Well and part of the conversation when it comes to natural gas is fracking, a lot of concerns about that, but you have come across EOG resources and recently they’ve unveiled a new fracking technology, so tell me a little bit about this, what does that mean for investors. Keith Schaefer: Well this new technique is actually very simple and it’s not going to be anything that really contributes much to the discussion of fracking. But it will contribute discussion to this production because what EOG has done is they’ve gone for the last 5 years as fracking has just taken off around North America, all the companies have been going out, doing long skinny fracks into these oil and gas formations, thinking that’s the best way to get most of the oil and gas out as they can. But what EOG has shown in the last 6 to 9 months, it’s still early days but they have dramatically increased the amount of oil coming out of these wells with short wide fracks close to the well bore as opposed to long skinny fracks out in to the formation. So it’s a very simple technical change, but it has meant a step change in production for these companies, so the amount of oil and gas that they are able to get out is increasing and of course the cost base of that gas is lowering, so now you’re going to be able to get a lot more gas and oil out a lot cheaper, so we talk about the Shell revolution creating a whole new renaissance in North American Energy. Well, if this pans out we ain’t seen nothing yet. Bridgitte Anderson: But what about the transportation, thinking mostly about the transportation of oil and particularly by rail, I mean I think the last 6 or 12 months we’ve seen a few incidents and there are some concerns about this. Is that going to be a hurdle? Keith Schaefer: Oh yeah the regulators of the industry have been way behind the curve on this, sadly, as they have been for most of the shale revolution when it comes to getting the general public onboard. But it’s pretty obvious now that the rules that are in place by the states, the governments and by the industry itself, including the railway industry just weren’t ready for what was hitting them and so you know you’ve basically gone from two years ago hardly any oil by rail, now to seeing 300,000 – 400,000 barrels a day shipped all over the continent, there are new safety regulations that need to be developed, that needs to be an understanding of what happens here as we saw in recent unfortunate accidents. Bridgitte Anderson: So how much of a constraint is that going to be? Keith Schaefer: Oh I’m really surprised it hasn’t been more of a constraint, I think the public has been very forgiving for the industry for what’s happened so far and I’m really kind of surprised it hasn’t been as big a deal. It’s big in the press, but there’s been really no movement forward by either the regulators of the industry to make the public give them some real facts and say yes there’s new regulations, there are new rules… and none of that’s happened, which I would have thought would happen really quickly considering the depths that we’ve seen. Bridgitte Anderson: So something to keep an eye on for sure. Keith Schaefer: I think so; I think that’s still a story that is yet to fully play out for the industry. Bridgitte Anderson: Okay another story that’s playing out, you were keeping an eye on refineries last year, and you know this has been a part of the conversations… if we’re going to produce this then you know you need a refinery to do something with it and you know some big news coming out last year regarding refineries and some investment, so what do you see happening on that front? Bridgitte Anderson: It could be good news for Canada. Keith Schaefer: Yeah it should be good news for Canada but you know part of energy independence is having the refining capacity to do it, and right now certainly in the light oil side they don’t have it. Bridgitte Anderson: And you’re bringing up light oil, so how, what should investors be looking for in that fracks, we were talking before we started the interview, just about seasonality as well. Keith Schaefer: Right, I think they will price, particularly the light oil price in North America is really getting set up for a big drop, so and what I think is going to cause that here is right now the polar vortex that we talk about, how it’s so cold right now. Keith Schaefer: This is how cold it was every year when I was growing up but for the last 30 years this is an abnormally cold winter and so it’s creating a lot of temporary excess demand that’s matching the permanent excess supply that we’re seeing continually coming out of both oil and gas in North America, so as soon as this cold weather stops Bridgitte, I just don’t see how commodity prices, particularly light oil and natural gas are going to have a pretty big drop because there has been a sustained increase in production that’s just being masked by this cold weather. Bridgitte Anderson: And that will come to an end pretty soon you think. Keith Schaefer: You never know the weather man, but certainly by March when spring shoulder season starts; I would think you are going to see a pretty big drop. Bridgitte Anderson: Okay I wanted to talk to you about ethanol as well. You did quite well with it last year, but there are some challenges there for investors so walk us through that. Keith Schaefer: Sure, so ethanol is just gasoline made from corn and it’s very simple economics when you have a big corn crop like you had in the US last year. Excess supply means lower prices and lower corn prices means higher ethanol profits. Keith Schaefer: So right now we’re in a situation where the margins for ethanol are very-very strong because of this bumper corn crop, but the thing to watch out for this year would be a lowering of the gasoline price. You know the Americans are driving less and less every year so it’s possible that gasoline prices could come down and then I guess the other thing is that we’re now producing more ethanol than we use in North America, so we’re reliant on exports and exports are soaring because our ethanol is so cheap. But if other countries like Argentina and Brazil in particular are able to have also bumper crops and their ethanol becomes very low cost, they could supply to us and it wouldn’t take much, ethanol is very volatile, it wouldn’t take much to reverse that, but right now I would suggest 2014 should be the best year in history for ethanol. Bridgitte Anderson: Okay and we’ll be keeping an eye on that, thanks very much, Keith. Previous post: Offshore Oil Stocks: Where Should Investors Look in 2014?